Business confidence among firms in Scotland has remained steady for a second month in a row, a survey suggests. 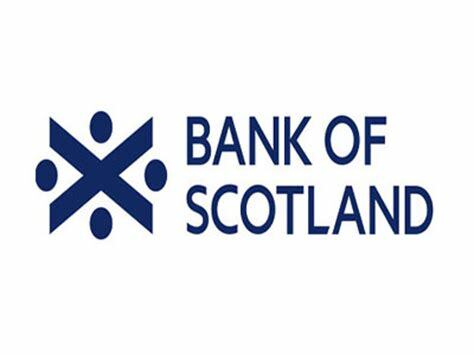 Economic optimism stood at 9% in August, an increase of seven points on the previous month, according to the Bank of Scotland’s Business Barometer. l laughed when someone pointed out the most frequently used word the BBC used when describing anything about progress in Scotland and they were quite right its of course ” BUT” its used in almost every item , its second nature to them it probably goes unnoticed .Good old trusted Auntie eh . Surely there has never ever been a radio station anywhere else in the world that only ever sees a glass half empty for it’s own country . If we were still a Presbyterian country I could understand it a bit, all doom and gloom , but I thought Scotland was supposed to be a pretty secular society now so where do they dig up all the BBC doomsayers from , great grannies cupboard ? . Yes, do they recruit them like that or spoil them as cubs? I think they go out of their way to make sure they get cubs of their own ilk ! Assistant chief constable Malcolm Graham reported: “As for violent crimes, domestic housebreakings are at their lowest for five years while violent crime overall has dropped 2.4 per cent, with common assaults down by 2.7 per cent and serious assaults by 5.7 per cent. “We have established a National Violence Prevention Board to better understand violent crime and what we can do to tackle it. Thanks for posting this as probably all here would have been none the wiser , nothing like a good news story to get our media to instantly lose interest . The replies to the artical were choice it’s amazing how temperate the comments were , Which leads me to my real point ,this Scottish part of the Civil Service are these the same people who are still involved in the Civil Service in Scotland with close links to the ones that might be involved with the Alex Salmond case , Aye makes you wonder exactly how impartial these people are , and how deep the infiltration goes , who do they answer too ? . would be interesting if anyone has links to figures for Scottish exclusions – I suspect they will be massively fewer (and for much more serious “offences” only). You make a cogent point about the presentation of ‘good news’ articles as ‘stand-alone’, whereas, with topics like NHS or Police Scotland, there is a continuous drip-drip of negativity.